Friends of Karen needs gifts cards to A&P, ShopRite, Stop & Shop and Pathmark. Pantry items including paper towels, tissues, Purell, antiseptic hand wipes, baby wipes and diapers in sizes 4,5, and 6 are always needed. Gift cards to McDonald`s, Dunkin` Donuts and Starbucks are a treat for our children in the hospital and also a pick-me-up for their parents. If your children have “too many” toys, please consider hosting their next birthday party to benefit our toy pantry. 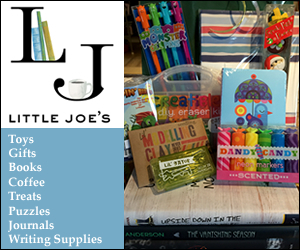 We are always in need of brand new toys, including Lego sets and other building toys, baby dolls for 2-year-olds, board games for 12+, Klutz books, decorative items for bedrooms (pillows, lava lamps, digital clocks, novelty lamps) and scrapbooking sets. For more than 30 years, Friends of Karen has provided financial, emotional and advocacy support to families with children from birth to 21 years of age with cancer and other life-threatening illnesses living in the tri-state area. Call 914.277.4547. Visit www.friendsofkaren.org.